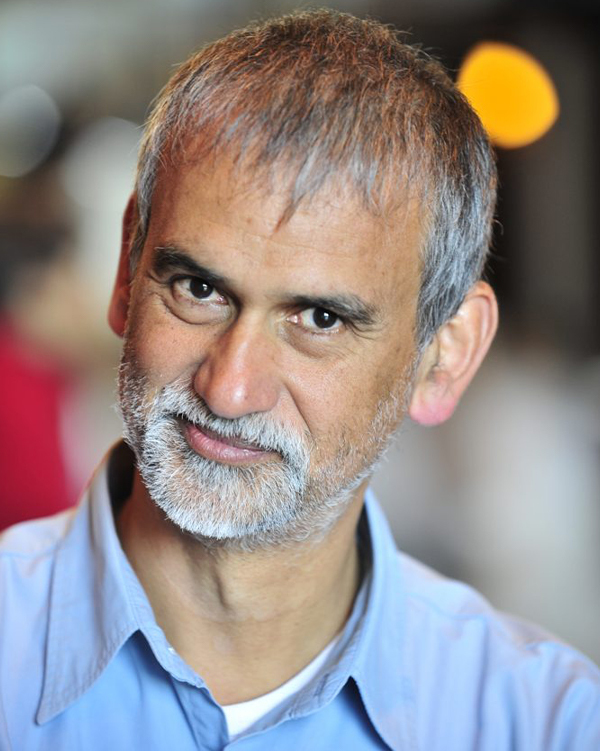 Mike van Graan graduated from the University of Cape Town with a BA Honours Degree in Drama and was appointed as an Associate Professor in UCT’s Drama Department from 2015-2019. He has served in leadership positions in a variety of anti-apartheid cultural organisations including Director of the Community Arts Project, Projects Officer for the Congress of South African Writers and General Secretary of the National Arts Coalition. After the country’s first democratic elections in 1994, he was appointed as a Special Adviser to the first minister responsible for arts and culture where he played an influential role in shaping post-apartheid cultural policies. From 2011-2018, he served a UNESCO Technical Adviser to assist governments in the Global South to develop cultural policies aligned to the 2005 Convention on the Protection and Promotion of the Diversity of Cultural Expressions. He was the Executive Director of the African Arts Institute (AFAI) from 2009-2016; AFAI was a South African NGO based in Cape Town whose two-fold mission was to help develop leadership for the African creative sector and to build regional markets for African artists and their creative works. He also served – for six years (2007-2012) - as the founding Secretary General of Arterial Network, a Pan African network of artists, cultural activists, creative enterprises and others engaged in the African creative sector and its contribution to human rights, democracy and development in Africa. In 2017, he was elected as the founding President of the African Cultural Policy Network. He also serves as the interim secretariat for the nascent Global South Arts and Culture Initiative (GLOSACI). Other past experience includes coordinating the African chapter of the International Federation of Arts Councils and Culture Agencies (IFACCA), coordinating the Western Cape chapter of Business and Arts South Africa (BASA), and teaching a course on professional theatre practice at the University of Cape Town. As a cultural activist and commentator, Van Graan has written numerous columns for the Mail and Guardian, Artslink.co.za, The Cultural Weapon as well as Litnet.co.za. He initiated and co-edited three editions of The South African Handbook on Arts and Culture, a comprehensive directory on the arts in South Africa. Van Graan has also acquired experience in curating international conferences such as the World Summit on Arts and Culture (Johannesburg, 2009), the International Network for Cultural Diversity conference (Cape Town, 2001) and the African Creative Economy Conference (Cape Town, 2013). From 1 September 2016 to the end of May 2017, he was a Richard von Weizsaecker Fellow at the Robert Bosch Academy in Berlin. In August 2017, he completed an artist’s residency at the Robert Rauschenberg estate on Captiva Island, Florida, where he wrote a play, Another One’s Bread, commissioned by the Centre for Excellence in Food Security at the University of the Western Cape. His recent international work includes a commission from IETM, On the Move and Dutch Culture to produce at toolkit on fairer international cultural collaboration (launched 1 June 2018), preparing and facilitating the programme for Atelier for Young Festival Managers (Johannesburg, March 2018; Gothenburg, August 2018; Greece, February 2019) and helping to design and then teach on the Arts and Culture Entrepreneurship programme hosted by the Arab Fund for Arts and Culture in Beirut (November 2018). Creatively, Van Graan works as a playwright. He was appointed as Artscape’s Associate Playwright from 2011-2014 (Artscape is one of five nationally-subsidised theatres) and is considered as one of South Africa’s leading contemporary playwrights, having garnered numerous nominations and awards for his plays that interrogate the post-apartheid South African condition. Most recently, his play on African migration and refugees – When Swallows Cry – won the Naledi Theatre Awards for Best Production, Best Director and Best Script (2017). He received the Standing Ovation Award at South Africa’s 2012 National Arts Festival for his sustained contribution to the Festival as a writer and activist, and in 2013 he was appointed as the inaugural Festival Playwright where four of his plays were showcased. Van Graan is the 2018 recipient of the Sweden-based Hiroshima Foundation for Peace and Culture Award in recognition of his contribution to the fight against apartheid, to building a post-apartheid society and to the study of the interface between peace and culture both in his home country and across the African continent. He was conferred with an honorary doctorate: PhD (honoris causa) in April 2018 by the University of Pretoria, where he is in residence for the first half of 2019 (having been commissioned to write a play on the Sustainable Development Goals). See a list of shortened bios.